How do I remove a products from my bookshelf? Many customers license a variety of products at various grade levels. A teacher may have access to product that they do not intend to use in their classes. 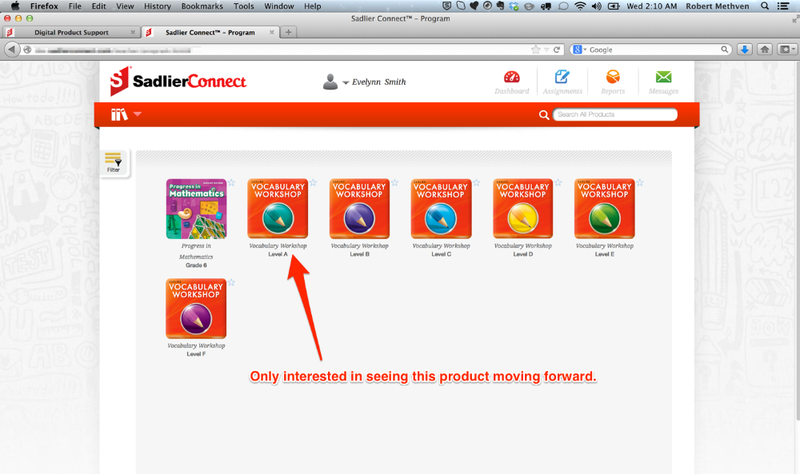 Sadlier Connect™ allows a user to hide products from view. The user can do this by changing their Product Preferences. You will not be able to hide products which you have made assignments to students from resources contained in that product. Your bookshelf looks something like the one pictured below. It has a variety of products available, but you are only interested in specific products. Select Product Preferences menu item. 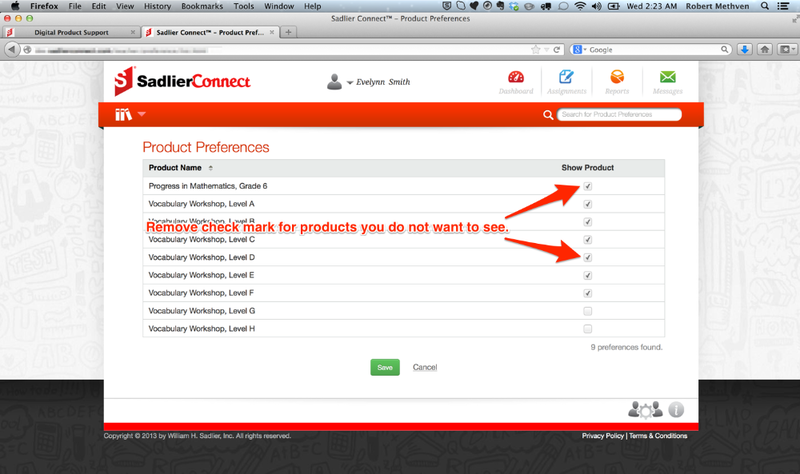 Remove the check marks from the products you do not want to display going forward. 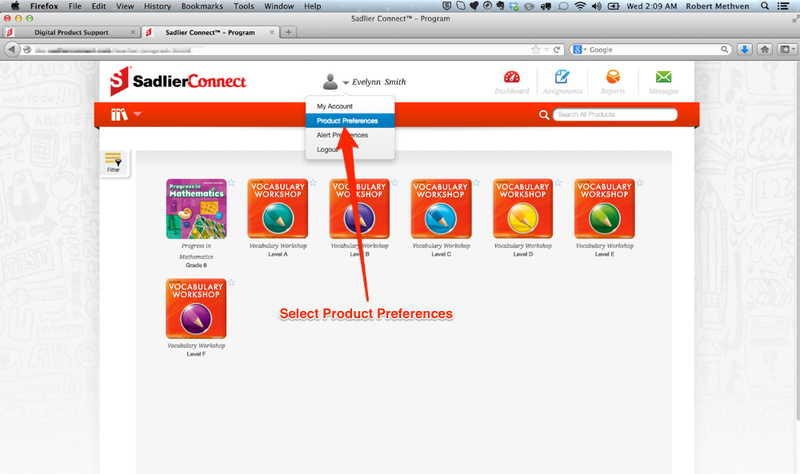 Your product preference screen should look like the image below. The actual products listed will vary based on the products your school has licensed. 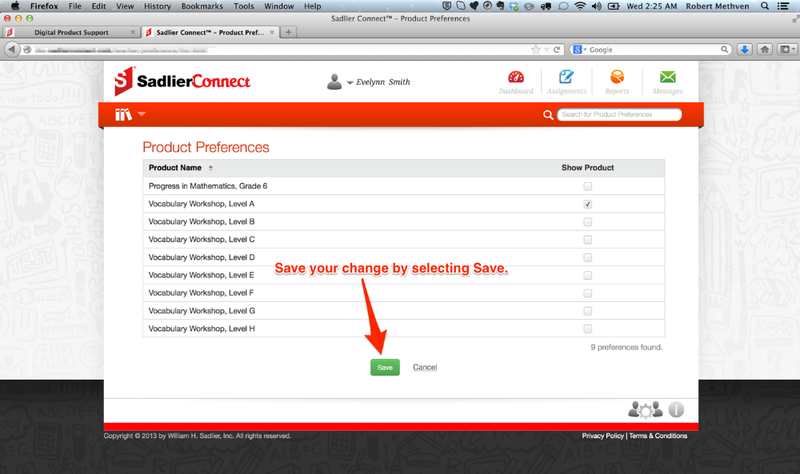 Save the changes you have made to your product preferences. Your teacher bookshelf based on your product preferences settings. You can also add products to your bookshelf assuming your school has an active license for the product. 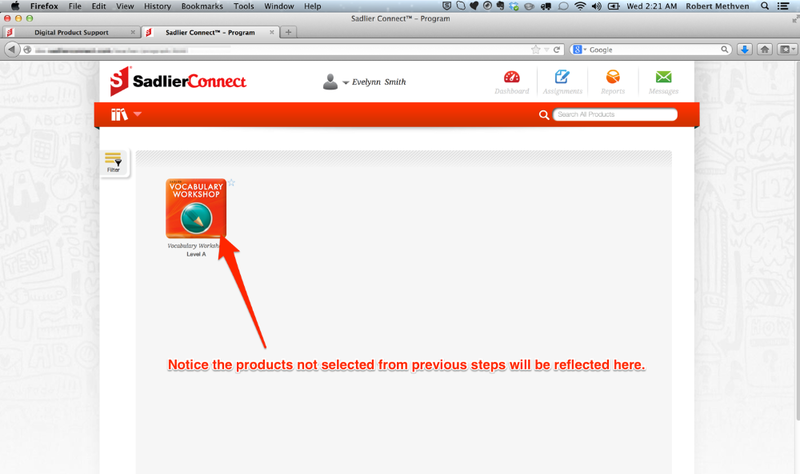 On the step where it says to remove check mark select products to make them display on the teacher's bookshelf.